But, surprise surprise, nothing happens. Or does it? Next morning, Bobbie finds a message on her bathroom mirror – five days – but what does it mean? And who left it there? Things get increasingly weird and more terrifying for Bobbie and Naya, until it becomes all too clear that Bloody Mary was indeed called from the afterlife that night, and she is definitely not a friendly ghost. Bobbie, Naya and Caine are now in a race against time before their five days are up and Mary comes for them, as she has come for countless others before. I’ve seen James Dawson speak at a couple of events now, so I knew it was time to pick up a book or two of his. 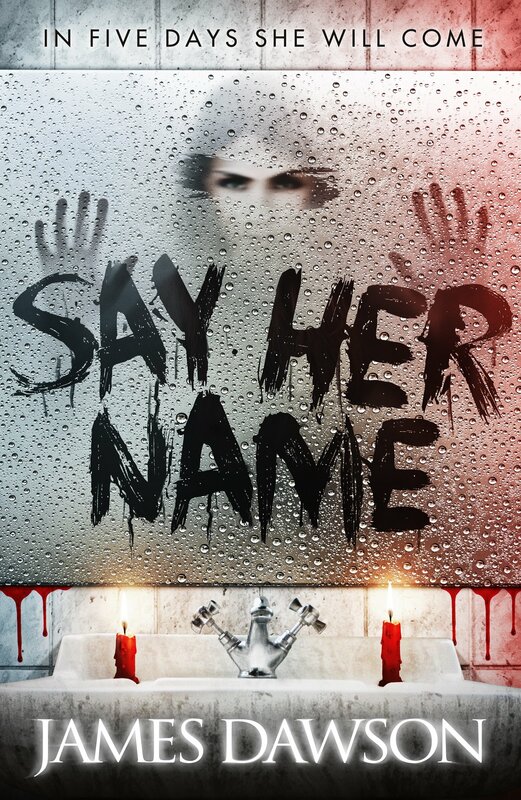 He has a wonderful variety to choose from so I can’t wait to read some of his other novels too, but my first was his utterly terrifying horror/thriller novel Say Her Name, which transported me right back to my teenage years when I was obsessed with Point Horror. I’d first like to point out that incredible cover. It’s super-scary and reflects the book’s contents perfectly. But more importantly, that contents is completely addictive. There are so many twists and turns you’ll struggle to hold onto your hat, and the familiarity of the Bloody Mary story mixed with the unexpected turn of events is the perfect recipe if you’re looking for a fright. I loved that Say Her Name is set in a boarding school, something that I’m still a sucker for, and I also really enjoyed the romance between Bobbie and Caine, which was sweet despite the sickly circumstances they had found themselves in. If anything, I’d say that some of the characters lack in depth a little bit, but that’s completely okay because the storyline more than compensates and it would have been tricky to fill out the characters much further without taking away from that great story. Say Her Name had my heart pounding and I couldn’t look in a mirror without scaring myself for at least a week. What a great read. Highly recommended.